We recently had an in-office demo of the GentleWave procedure by Sonendo, Inc. (Laguna Hills, CA). We had a great team from Sonendo who came to our office and gave a us a presentation and demonstration, including the opportunity to perform the procedure on an extracted tooth. We spent almost 3 hours together learning about GentleWave. The presentation was very informative and clearly explained the unique approach of the GentleWave system. This included a history of its development with some amazing visual imaging of the technology and how the multi-sonic energy and fluid dynamics are used to clean the canal system. We also had Dr. Mehrzad Khakpour, a GentleWave co-founder, on a conference call to answer any questions. There is no doubt that the GentleWave system by Sonendo is a novel and unique approach to the endodontic challenge of cleaning root canal systems. There are a several things I find very interesting about the GentleWave approach which I really like. The multi-sonic energy and fluid dynamic approach to enhance irrigation and cleaning is very interesting. The minimalization of canal shaping with files continues to move us in a conservative direction to preserve maximum tooth structure. The concept of a negative pressure and evacuation of the irrigants and debris through the treatment instrument is a great idea. The de-gassed irrigants ability to penetrate the complexities of the canal system. The removal of smear layer using multi-sonic and fluid dynamics. For those who do 2-step treatment, this may be a way for them to feel more comfortable with single step treatment - which patients prefer. Sonendo insists that they are focused on continuing the clinical research. 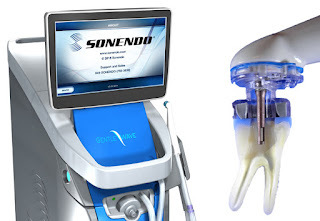 Sonendo does have a volume discount for treatment instruments, which gives the endodontist a slight economic advantage over a general practicioner. The technology is really cool. Who doesn't like new technology? We have current ways to create sonic or ultrasonic activation in the canal system. These work very well and are much faster and less expensive the GentleWave. With the GentleWave procedure, you still have to locate all the canals, including calcified canals, get patency and open them up to a minimal size. This is the most difficult and time consuming part of the endodontic procedure. GentleWave does not solve those problems. No time saved there. Cost of the treatment instrument, materials to create the platform, additional volume of irrigants and sealers double or triple the material overhead costs of the treatment. Using the GentleWave procedure will add time to the procedure. It has been estimated by one clinician currently using it that it takes 30% more time per case (20 min for this practitioner). This would decrease the number of patients that could be treated each day. The claims being made regarding improved success rates and decreased post-op sensitivity are anecdotal. Hidden costs of ownership make this technology much more expensive than it appears. A business model that requires up to 73% of the cost of the initial investment in disposable, single use treatment instruments per year (in order to get the discounted rate) ends up being a much bigger investment. 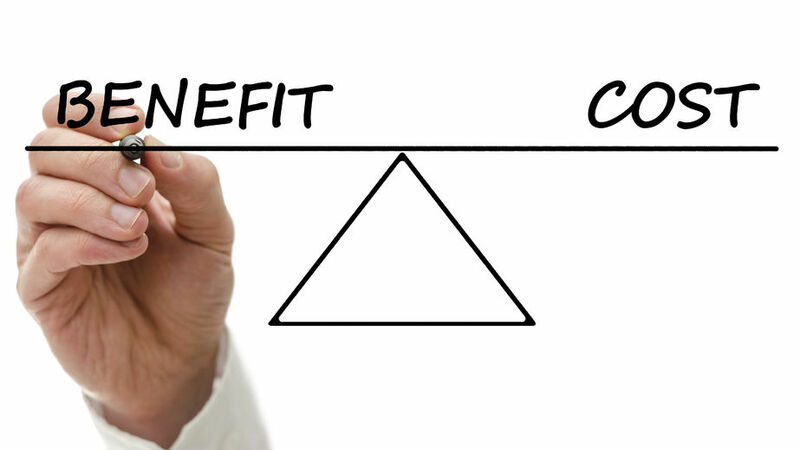 Will insurance companies really allow contracted clinicians to charge additional "non-covered" fees to the root canal procedure? The GentleWave procedure will not make you faster or more profitable and there is not enough evidence to determine if it would make you better by improving outcomes significantly for patients. This technology is fascinating. However, for such a large expense, it would be foolish to incorporate any technology into a practice that can so profoundly affect the overhead and productivity of the practice without doing an adequate cost benefit analysis, measuring the opportunity cost and evaluating the return on investment.